Politics, issue based editorial and Bass Music…bit of an oxymoron. Do we really want our DJs, producers, Rock Bands etc getting all shouty and opinionated? Difficult one as we have to admit the whole DJ bandwagon slagging of Brexit and Trump has felt a little hollow at times. Lots of social media gesticulation, but can you really have a meaningful impact in 140 characters? We’re not so sure. That said, artistic expression has always been synonymous with social commentary and when used correctly can be a very powerful platform in highlighting and raising awareness around key social topics. Take Coldplay and Fair Trade, Band Aid and African starvation, Rave for Refugees, DJ EZ 24 Hour set for Cancer Research and 30 Days, 30 Songs – A Trump Free America, to name just a few. All of which have used music as a platform to get the message out. 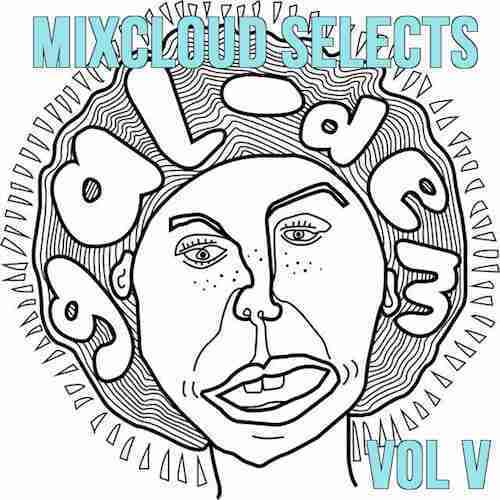 Well Mixcloud SELECTS Vol V – Gal Dem, features another such example. Gal Dem are a collective of 70 plus coloured women, who in their own words create “A vibrant online and print magazine written by women of colour for all to explore!” A magazine that clearly mixes, Politics, Fashion and Music. Now if that all sounds a bit serious, which in regards to the topics they cover, it is, it should also be noted that their is a clear fun side to the Gal Dem crew. Its not all soapboxes, megaphones and bra burning. The Gal Dem crew are here to party and their exclusive mix for Outlook Festival 2017 is just that, a banging bass fuelled party.